WTB 4*. This recently renovated ground floor accommodation has a large family bedroom. Ideal for a couple or family. Large Lounge/Dining room, well-equipped kitchen & bathroom. Enclosed patio. WiFi. 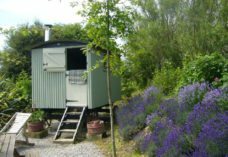 Near beaches/countryside walks and Wales Coastal Path. Short breaks. This spacious well equipped property offers flexibility. Large bedroom (double, single + sofa-bed in lounge). Cot/guest bed available. Full central heating. Pets by arrangement. There is an enclosed patio area and off road parking. Near bus stop. 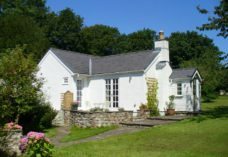 It’s an ideal location for walking to local beaches, moorland and hills. Port Eynon, Oxwich & Llangennith beaches are within 20 minutes drive. Swansea and Mumbles are 30 minutes drive. Off road parking. The Bus House at Pitton Cross is on the edge of the village of Rhossili on the Gower Peninsular. It originally garaged the horse drawn bus which travelled from Swansea. It was extensively refurbished in 2009. We continually maintain the property to keep up the required high standard. There is access to the Wales Coastal Path, as well as many footpaths leading to the beaches, moorland and surrounding countryside. The Rhossili/Swansea bus stops outside the property. This spacious WTB 4* one bedroom ground floor property will sleep up to 4 people and has full central heating, ample off road parking and WiFi*. The large family bedroom has a double and single bed and sofa-bed, wardrobe, 2 bedside cabinets and a chest of drawers. Cot and guest beds also available on request. All bed linen is provided and both beds are made up ready. Extra blankets and pillows available. The large dining/living room has a dining table to seat 4 people, two settees (one sofa-bed), television and DVD player. A sofa-bed or single bed can be put up in the living room for more flexibility. The bathroom is tiled throughout and includes bath with overhead shower, washbasin & WC. Small guest towel provided. Guests may request hand and bath towels (Charge). Guests should provide their own beach towels. Hair dryer, iron and clothes-airer provided. There is also an outside clothes line (pegs provided). The Bus House can be combined with the adjoining Farm House (see separate entry) to accommodate twelve guests for the larger family/friends gathering or celebration. To view the combined advert for The Bus House and Pitton Cross Farm House, please click here.